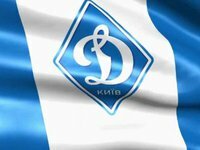 Greek police officers have arrested more than 16 fans of Ukrainian football club Dynamo Kyiv for an attack on cafe visitors, the Novoye Vremya media outlet has reported, with reference to Greek online news site Newsbeast. The cafe manager told the site that six people, allegedly Russians, were sitting in a cafe in Athens on Thursday, February 15. First they left the cafe, but later came back in a panic and reported that they had been attacked by more than 40 people, presumably fans of the Dynamo football club. According to the report, Ukrainian fans smashed the windows and broke several tables in the café. Employees were not hurt. The police managed to detain 16 hooligans, while the others escaped. Dynamo Kyiv played with AEK in the Europa League on February 15.